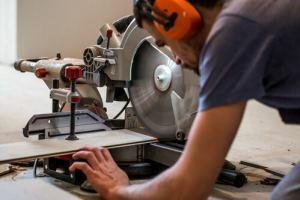 Whether you’re a committed home woodworker or a contractor on site, the best circular saw is a crucial part of your toolkit. The 5007F is designed for professional framers and is suitable for a wide range of applications on site. 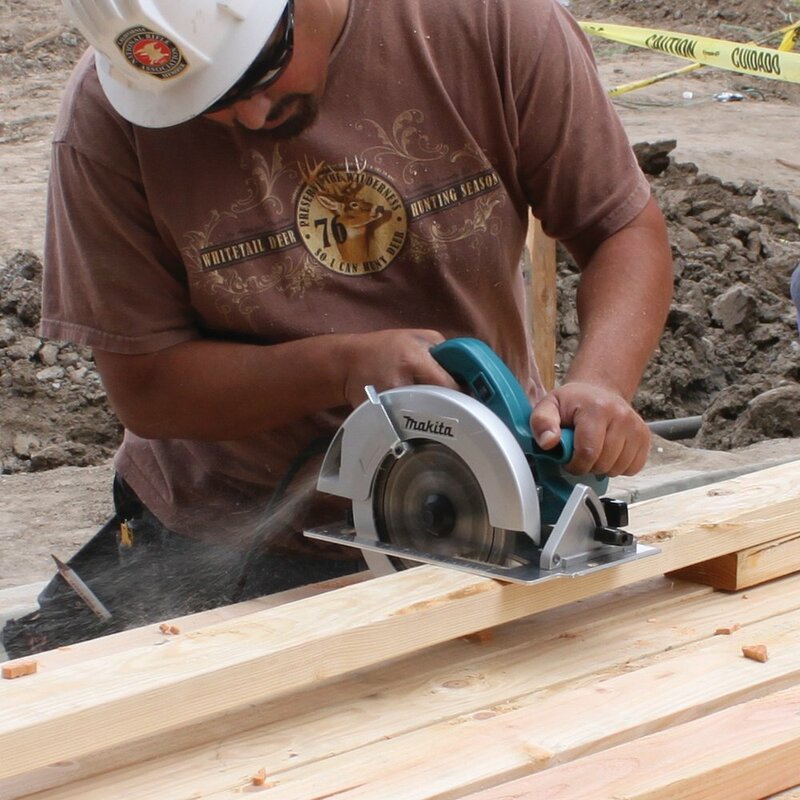 Great for working with either dimensional or engineered lumber, this old-school Makita is a common sight across construction sites the world over. 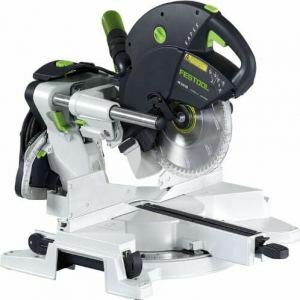 Beyond this, the fairly lightweight nature of the saw combined with its versatility makes it equally useful for home DIY enthusiasts or crafters. In today’s Makita 5007F 7 ½-inch circular saw review, we’ll focus on why you should consider adding this little beast to your arsenal. Purchased the 5007F because my dad bought a very similar model 30+ years ago and it has served him very well. I recently purchased my first home and I put the 5007F through its paces while finishing the basement. It’s a really great saw. Durable and well built. I will no doubt get many years or service from this saw. Power is perhaps the key selling point of the Makita 5007F. 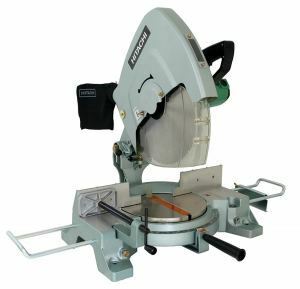 Although it’s a relative compact circular saw, the able 15-amp inductive motor kicks out more than enough oomph for even demanding applications. The motor is fan-cooled which helps you to run it at full clip for lengthy spells with no real risk of overheating. Brute force alone is not enough, though. 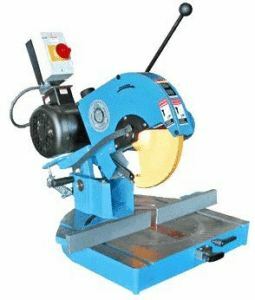 With the blade spinning at an impressive 5800 RPM, you’ll get an extremely smooth cut with this saw. Not only does this produce precise results across a range of materials, you won’t need to spend much time sanding afterward. One snag is the lack of variable speed. While this makes it much easier to use since you’ll need to make fewer adjustments, if you find the idea of a single-speed saw limiting, this is not the model for you. 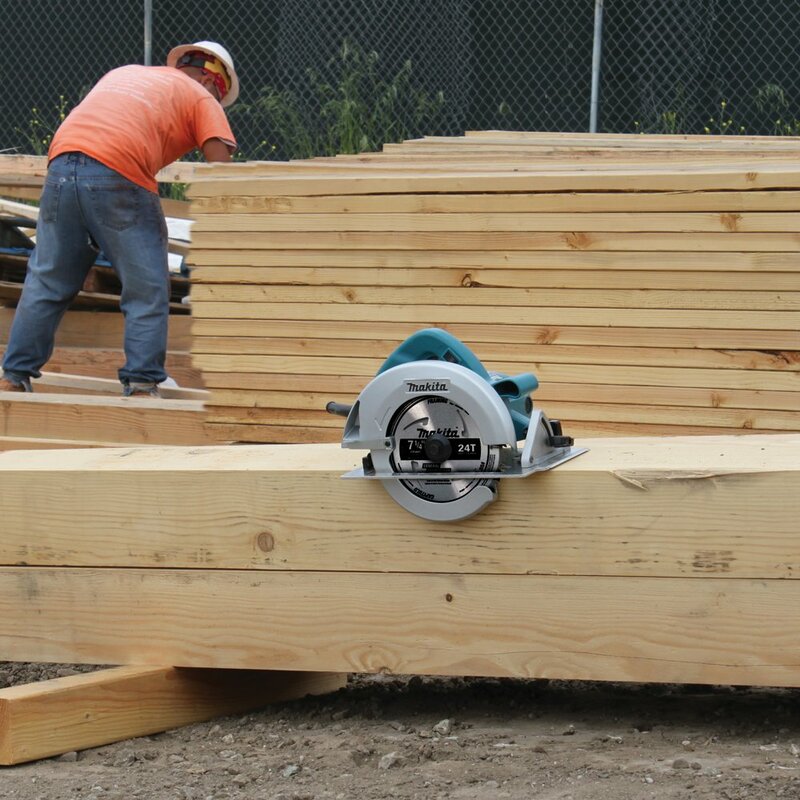 After raw power, cutting capacity is where the best circular saw comes fully into its own. The Makita does not disappoint. You can cut to 2 3/8 inches at 90 degrees and to 1-¾ inches at 45 degrees. Altering the depth of cut is straightforward. Adjust the base plate by tilting the saw and loosening the clamping screw. Tilt the base again, set your angle from 0 to 45 degrees then tighten it up and you’re good to go. The base itself is made from aluminum. 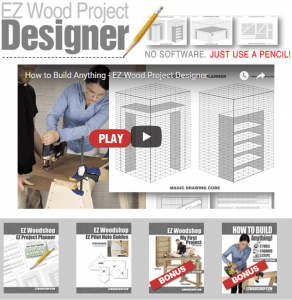 You’ll get all the stability you need without the saw becoming too cumbersome. Accuracy is enhanced thanks to the inbuilt dust blower and LED lights. The cut area is kept spick and span thanks to the flow of air while the lighting simplifies working in dim environments. The 5007F comes with both an upper and lower blade guard to protect you whether you’re making straight or bevel cuts. The Makita comes with a stock framing blade included. Opinion is polarized here with some users moaning about the quality. 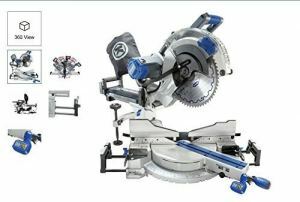 We have to say the 40-tooth carbide-tipped blade is more than fit for purpose and enhanced the already good value of this pocket-friendly circular saw. While the saw is corded, it’s cut to a reasonably generous 8 feet so you should have adequate room for maneuver in most normal circumstances. On the downside, there’s no electric brake on this model so be aware of this rather than buying and being disappointed after the event. Unfortunately, you need to make some compromises when you’re buying a saw at such a keen price point. Only you can determine whether or not this is a deal-breaker. We’ll break down the leading advantages and drawbacks of the Makita before serving up our verdict and leaving you to decide if this is the best circular saw for your needs. As the saying goes, you can’t please all of the people all of the time and, while the Makita 5007F is a classic, it doesn’t come without its shortcomings. 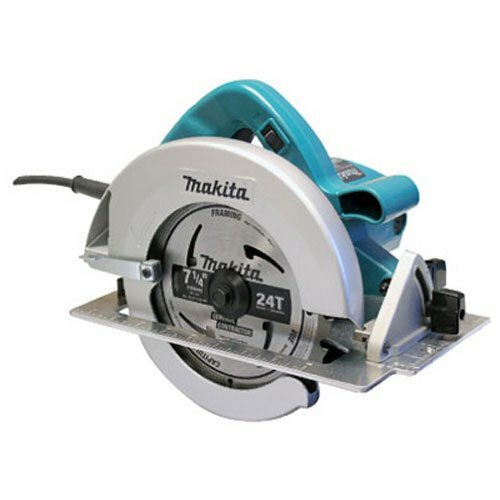 If you don’t mind foregoing an electric brake and you are prepared to accept the limitations of a corded saw in return for the increased power on tap, though, the Makita is a really solid option. With that generous depth of cut, nifty dust blower and LED lights and all at a pocket-friendly price, the 5007F is a presence on job sites worldwide with just cause. Check out this rugged workhorse today and start putting it through its paces tomorrow!